This week, I'll be entering a dark period. I will probably wear black. Sit shiva. Cover up the mirrors. I won't eat anything. Forget about sleep. I went through the same grieving process last year when Lost ended its historic run. Now, sigh, it's time to do it all over again. It's so hard to let go. Starting sometime in the middle of the week, I will be immersed into the final season of one of the best dramas on television. 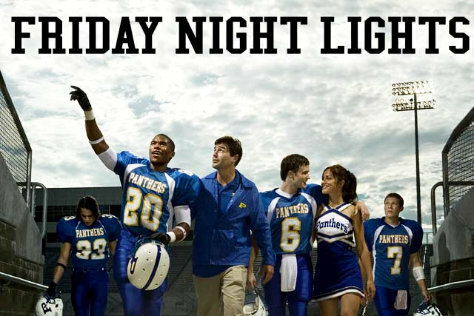 After five emotionally exquisite seasons, Friday Night Lights leaves the airwaves for good. Direct TV aired its final season last fall, but alas, Verizon Fios is my provider. The DVD of this season is released Tuesday, while NBC begins airing it on 4/15. An odd bit of scheduling, no? Of course, I'm going the DVD route. I shot the three discs to the top of my queue and strategically arranged my viewing schedule so I can receive all three on the day of release. These are the lengths I'm willing to go for the Dillon Panthers. It may take about a week to plow through all 13 episodes. My wife and I enjoy the show together and, unfortunately, we're old, we like to be asleep before the sun sets (I'm kidding...sort of). But I doubt we'll be able to resist doubling up on episodes on certain nights. The show is addictive. The characters are as rich and textured as anything I've ever seen on television. I was hooked from the beginning and during its journey I've managed to get both my wife and my folks caught up and heavily involved with the show. I know they'll miss Friday Night Lights as much as I will. I'm not ready for an in-depth take on the whole series but I'll do a Quick Take after the last disc is sealed up and sent out. I'll also see if it belongs on an upcoming post listing the 5 Best series finales. Until then, Dillon fans. Chin up. The gang is going out on top. Clear eyes, full hearts.......dammit, I'm a mess.